Hold onto your ruby slippers Dorothy, for glitter shoes are in demand right now, as seen here, here and here. Before parting ways with your hard earned cash to cover your feet with glitter footwear, consider this; you could try creating your own glitter shoes for next to nothing. 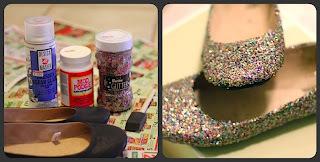 All you need are shoes that fit you, either from your own wardrobe, or second hand, a bit of preparation, some glue, and a tube of glitter from your local craft shop or dollar store. 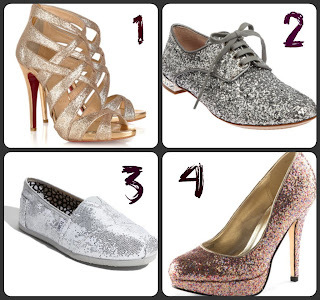 Now, I can't really see myself wearing a pair of glitter shoes for everyday, or evening wear for that matter. 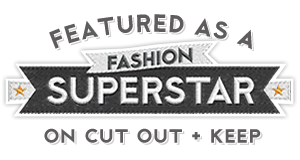 However, when it comes to tap dancing, this is a completely different story. 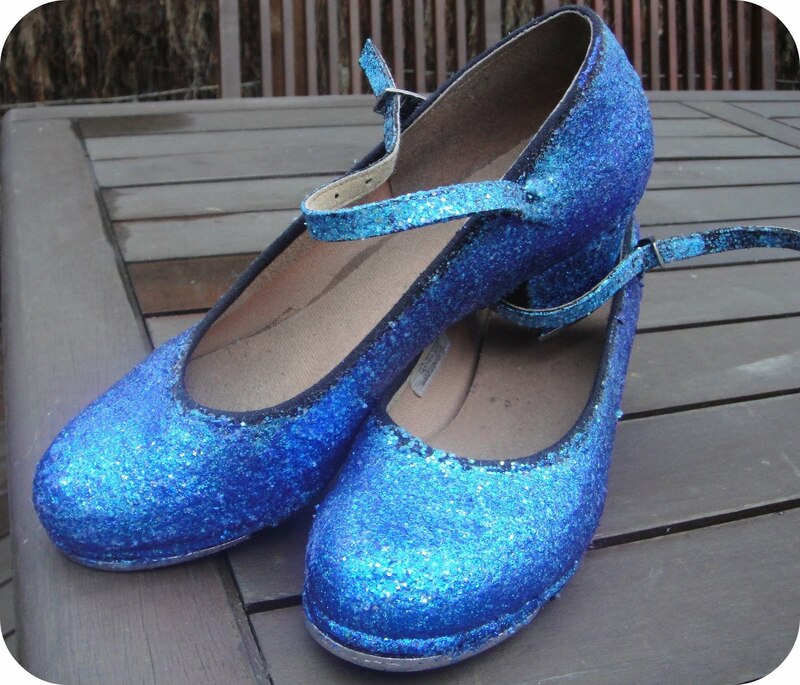 Why not bling up my otherwise boring pair of dance shoes? My tap shoes were originally purchased second-hand (of course) on eBay last year. I tried using Mod Podge to glue glitter to my shoes, but found after my first night of tapping, the glitter layer cracked, and peeled off. 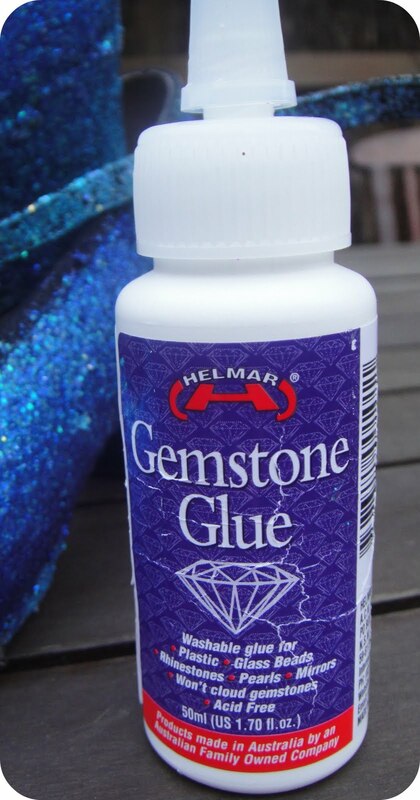 Asking my dance instructor for advice, apparently the best method is to use methylated spirit to remove the shine first, use a glue called gemstone, and finish off with a sealant spray/lacquer. DIY glitter shoes are a much cheaper alternative to buying a brand new pair, don't you think? 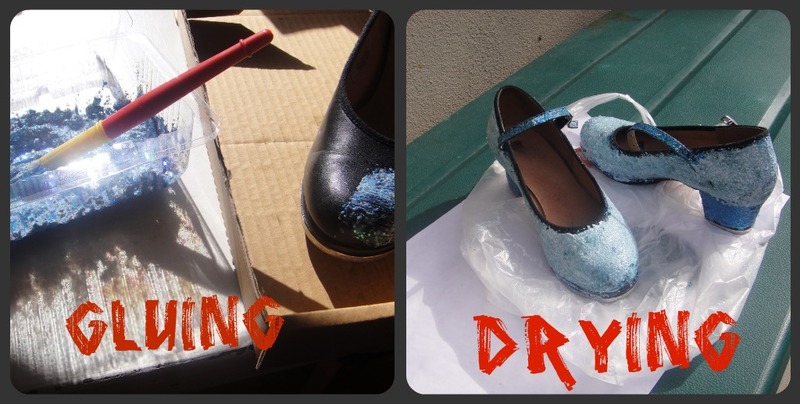 Have you tried glittering your own kicks yet, or would you rather see this trend left in the land of Oz? what an awesome idea! Why didn't I think of that? haha.. I so want to try that with patterns, wish i had more free time. 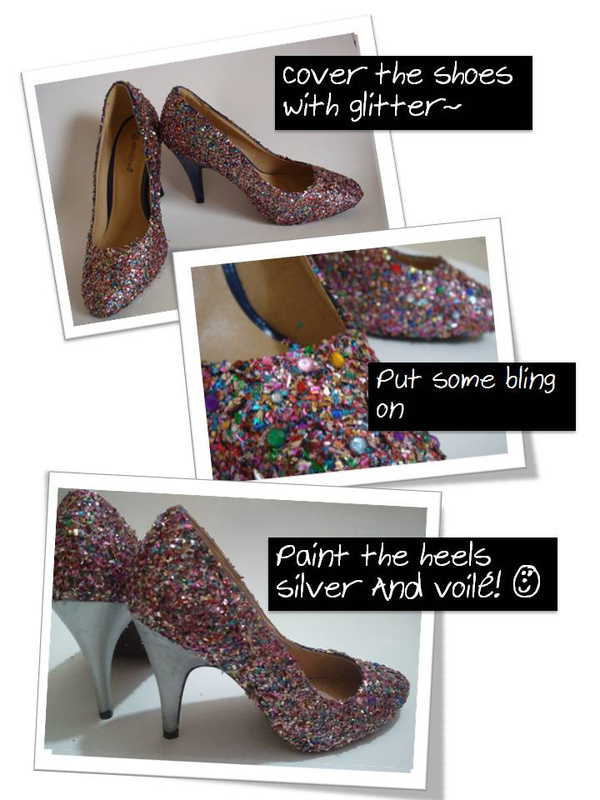 I love playing with glitter-great inspiration again! 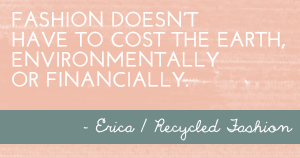 great post, now i'm off to dig through my closet for a pair i can bedazzle!! I have to say, I've been meaning to do this exact thing to old shoes for about a year now. Who new I was actually being fashionable with that idea. I'm going to have to get on it now. Oh, and I would wear a pair of shoes like that during the day. Hehehehehehe. Glitter makes me smile full stop! Thank you for your article, I learned a lot. Christian louboutin pumpsunique design attracted me. Meanwhile, christian louboutin uk also welcome your visit.